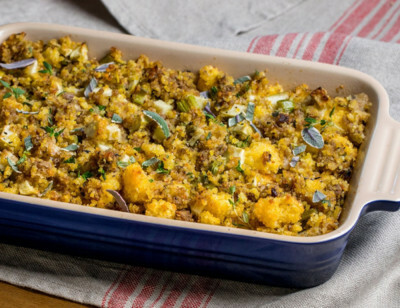 This recipe is inspired by a traditional Southern cornbread dressing. 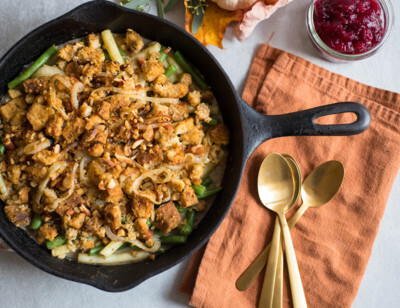 Southerners often repurpose their day-old cornbread by adding sausage, onions and spices to make a tasty stuffing to accompany a holiday meal. 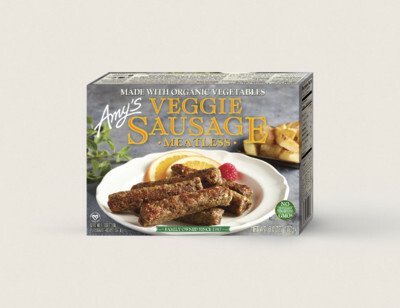 Amy’s makes a delicious meatless veggie sausage that can be spiced and crumbled to emulate that signature holiday stuffing flavor. Preheat oven to 350℉ and lightly grease a 9”x13” baking dish. Place cornbread (broken into chunks) into a large bowl. Set aside. Heat Amy’s Meatless Veggie Sausages in a lightly oiled skillet. Break up sausages with a wooden spoon and continue to cook over medium-high heat until evenly browned. Remove from skillet and add to cornbread. Using the same skillet, melt butter and cook celery and onion over medium heat until golden brown. Add sage, thyme, salt and pepper. Gently fold into cornbread mixture. Add parsley and apples to cornbread mixture. Mix gently. Evenly distribute enough broth over cornbread mixture to moisten thoroughly. Spoon mixture into the prepared baking dish. Bake until top is toasted and golden brown, about 35-40 minutes. 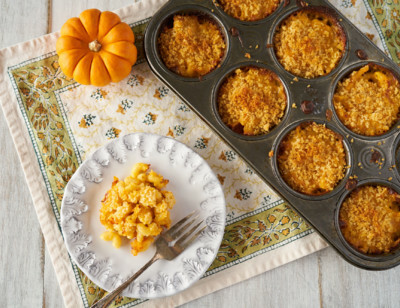 Feel free to use your own favorite cornbread recipe. 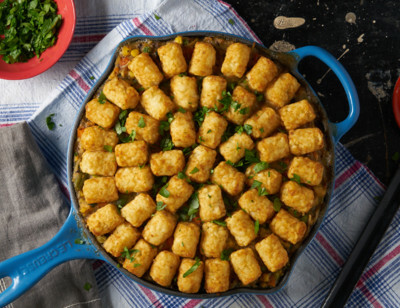 To make it easier on yourself on the day of the big feast, prepare this dish a day in advance and store in the refrigerator until ready to bake. If you’d like to use Amy’s California Burger instead, you can crumble two patties, add ½ tsp of allspice and ½ tsp of nutmeg.